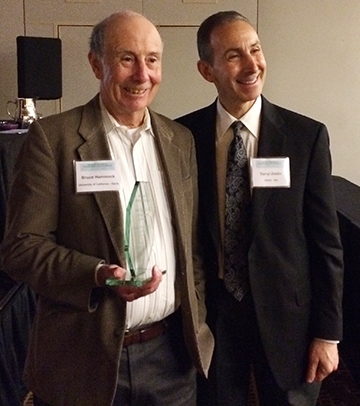 Bruce Hammock (left), recipient of the John C. McGiff Memorial Award, and Darryl Zeldin, scientific director of the National Institute of Health's National Institute of Environmental Health Sciences (NIH/NIEHS). DAVIS--Bruce Hammock, UC Davis distinguished professor of entomology, is the first recipient of the prestigious John C. McGiff Memorial Award for his pioneering contributions to eicosanoid research. Eicosanoids are a particular class of fats that, rather than being nutritional or structural, are regulatory. They regulate blood pressure, childbirth, pain, inflammation, tissue repair and other biologies. By mass, more than 75 percent of the world's medications work on the eicosanoid pathway. These include such familiar drugs as aspirin, Advil, Ibuprofin and Motrin. 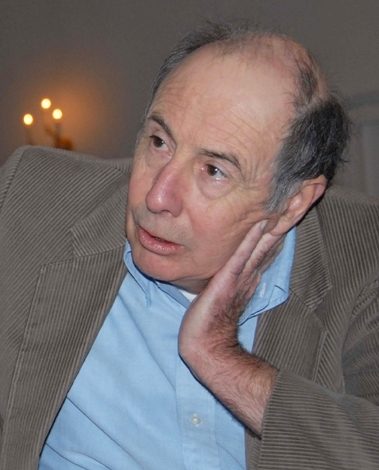 "Jack McGiff's generation told us how aspirin worked and provided humanity with a collection of new pharmaceuticals which has greatly improved the health of man and his companion animals," Hammock told his fellow scientists at the March conference. “Jack himself was an inspiring scientist explaining regulation of the renal and cardiovascular systems. He not only founded this international conference but for decades, he has been its inspiration, encouraging collegiality and collaboration while demanding uncompromising science." Using the newly discovered chemical in the Hammock lab, the UC Davis and Hashimoto researchers drew international attention on March 14 for their publication in the Proceedings of the National Academy of Sciences (PNAS). The result could be a new, innovative tool to control depression, a severe and chronic disease that affects 350 million persons worldwide, they said. Hammock, a decade-long participant at the conference, described WEC “as a group of scientists who have high standards of research, but freely collaborate and exchange reagents and ideas. It represents science at its best. “Never would we have made the advances we have at Davis without this friendship and collaboration of scientists from around the world.” This year's conference drew 150 scientists. Darryl Zeldin, scientific director of the National Institute of Health's National Institute of Environmental Health Sciences (NIH/NIEHS) and Michael Laniado Schwartzman, professor and chair of the Department of Pharmacology at the New York Medical College's School of Medicine, presented Hammock with the award. 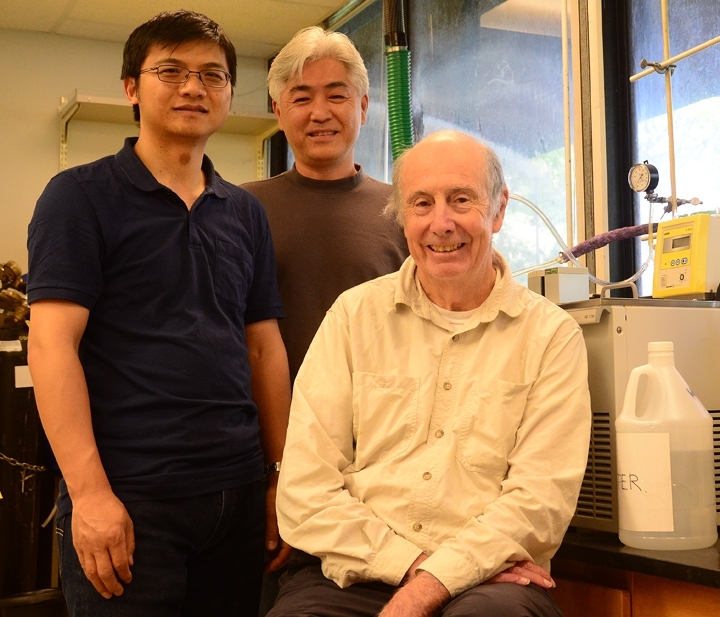 "Bruce is credited with the discovery of soluble epoxide hydrolase (sEH) and elucidation of its catalytic mechanisms,” Zeldin said. “He has devoted a good portion of his career to development of sEH inhibitors, one of which has completed a phase II human trial and others are in human trials. He has also been instrumental in development of methods to detect and quantify bioactive lipids in biological samples, methods that are used throughout industry and academia. He has been a leader in the eicosanoid research community, and an outstanding collaborator and colleague." Hammock collaborator Dipak Panigrahy, an assistant professor of pathology, Center for Vascular Biology Research, Beth Israel Deaconess Medical Center, Harvard Medical School, praised the UC Davis professor for his work and said the prestigious award is particularly fitting. “Professor Hammock, a member of the National Academy of Science, has led a team of over 40 scientists and students with a multidisciplinary, integrated approach to research focused on insect biology, mammalian enzymology, and analytical chemistry,” Panigrahy said, noting that Hammock has produced more than a thousand publications on a wide range of topics in entomology, biochemistry, analytical and environmental chemistry in high quality journals, and that his laboratory has generated more than 50 patents. Bruce Hammock, who received his doctorate in entomology/toxicology from UC Berkeley in 1973, joined the UC Davis entomology faculty in 1980. With Sarjeet Gill (now at UC Riverside) he discovered that the enzyme, soluble epoxide hydrolase (sEH), degrades fatty acid epoxides and plays an important role in human diseases. He and his lab have developed inhibitors of sEH that are anti-inflammatory, anti-hypertensive, analgesic and organ-protective. Recently he founded the company, Eicosis LLC, to target diabetic neuropathic pain. The company just received two large federal grants for translational drug development and aims to move one of the sEH inhibitors to human clinical trials. The Hammock lab is the 30-year home of the UC Davis/NIEHS Superfund Research and Training Program, an interdisciplinary program funded by the National Institute of Environmental Sciences (NIEHS) that has brought in almost $60 million to the UC Davis campus. The Hammock lab is also the home of the NIH Training Grant in Biomolecular Technology. The lab alumni, totaling more than 100 graduates, hold positions of distinction in academia, industry and government as well as over 300 postdoctorals. “The historical research funding base is diverse and includes long terms grants from NIH, USDA, Department of Defense, UC Mosquito Research Program and many private and research foundation contracts and grants,” Panigrahy pointed out. The UC Davis distinguished professor has authored or co-authored more than 1020 peer-reviewed publications, many in top journals. This includes 500 related to epoxide hydrolase, 80 related to esterase and amidase, ~260 related to immunoassay, and 240 related to insect biology. Hammock is a fellow of the National Academy of Inventors (NAI), which honors academic invention and encourages translations of inventions to benefit society. 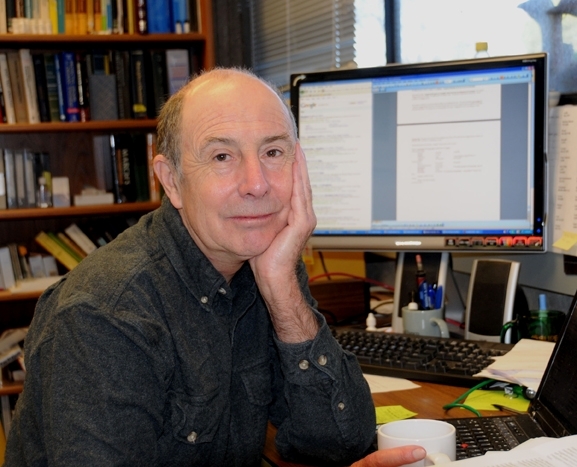 He is a member of the National Academy of Sciences (NAS) and the recipient of numerous other awards, including the Kenneth A. Spencer Award in Agricultural Chemistry, NIEHS Merit Award, Alexander von Humboldt Award, George and Judy Marcus Senior Fellow from the American Asthma Foundation, the Bernard Brodie Award in Drug Metabolism from the American Society for Pharmacology and Experimental Therapeutics, and the University of Michigan William E. H. Lands Lecturer in Biochemistry and Nutrition. He was also a visiting professor at the Beth Israel Deaconess Medical Center, Harvard University. In addition to his directorship of the Superfund program, Hammock serves on the board of the National Accelerator Mass Spectrometry Facility, Lawrence National Laboratory. He is a fellow of the Entomological Society of America (ESA) and recipient of the ESA's Recognition Award for Insect Physiology, Biochemistry and Toxicology. The UC Davis Academic Senate honored him with its Distinguished Teaching Award for Graduate and Professional Teaching, and the Distinguished Research Faculty Award. 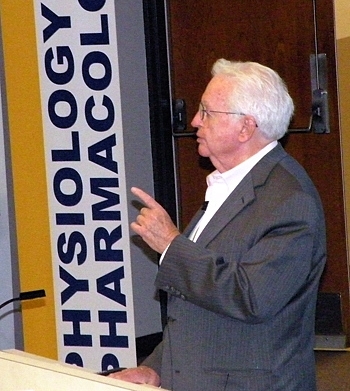 John "Jack" McGiff (1927-2013), an internationally known cardiovascular and renal researcher, and distinguished pharmacologist, founded WEC in 1998. McGiff and John Vane (1982 Nobel laureate) worked together in the early 1970s to determine much of what is known about the mechanism of action of aspirin on renal function and blood pressure. McGiff went on independently to publish more than 250 papers on the role of eicosanoids and prostaglandins in health and disease. Born John Charles “Jack” McGiff in August of 1927, he died in February 2013 at age 85 at his home in Patchogue, N.Y. He received his bachelor's degree from Georgetown University, Washington, D.C., and his medical degree from the Columbia College of Physicians and Surgeons, Cooperstown, N.Y. A veteran of the Marine Corps in the Korean War, he shined in a medical and research career that included chief of cardiology at St. Louis University; professor and chair of the Department of Pharmacology at the University of Tennessee Center for the Health Sciences in Memphis; and professor and chair (1979 to 2010) of the Department of Pharmacology at New York Medical College, Department of Pharmacology at New York Medical College, Valhalla. During his career, McGiff held a grant from the National Institutes of Health for 28 years. The Eicosanoid Research Association, Inc. based in Peekskill, N.Y., sponsors the annual conference to promote scientific research and education in the field. The conferences are always held in March in Baltimore and serve as an interactive forum for the “exchange of ideas and learning of exciting new developments in the field of eicosanoids with a focus on cancer, inflammation, and cardiovascular disease,” a spokesperson said. Junior and senior researchers present their work, much of it unpublished. Eicosanoids are compounds involved in cellular activity and are derived from polyunsaturated fatty acids. 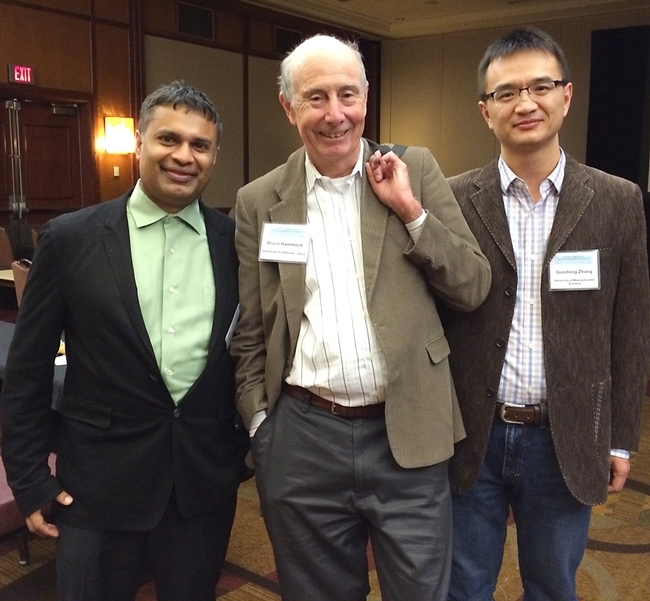 Bruce Hammock (center) with colleagues Dipak Panigrahy (left) of Harvard Medical School, and Guodong Zhang (UC Davis alumnus), now of the University of Massachusetts. 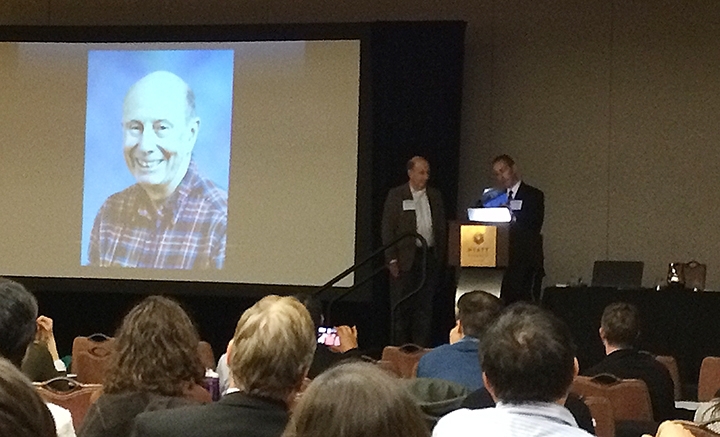 The ceremony honoring Bruce Hammock (left) as he is introduced by Darryl Zeldin, scientific director of the National Institute of Health's National Institute of Environmental Health Sciences (NIH/NIEHS). DAVIS--Researchers at UC Davis, University of Massachusetts and Harvard Medical School have created a combination drug that controls both tumor growth and metastasis. By combining a COX-2 inhibitor, similar to Celebrex, and an epoxide hydrolase (sEH) inhibitor, the drug controls angiogenesis (blood vessel formation), limiting a tumor's ability to grow and spread. The study appears July 14 in the journal Proceedings of the National Academy of Sciences. Both COX and sEH enzymes control lipid signaling, which has long been associated with inflammation, cell migration, proliferation, hypertension and other processes. COX inhibitors block production of inflammatory and pain-inducing lipids, while sEH inhibitors preserve anti-hypertensive, anti-inflammatory and analgesic compounds. Separate COX and sEH inhibitors were previously found to work together in reducing inflammation and neuropathic pain. After testing individual COX-2 and sEH inhibitors, the team synthesized the drug (PTUTB), the first combined COX-2/sEH inhibitor. They then tested the dual inhibitor against human lung and breast tumors, both in vitro and in mice. They found that PTUTB blocked angiogenesis, inhibiting the proliferation of endothelial cells, which are critical to blood vessel formation. This in turn limited tumor growth and metastasis, reducing lung and breast tumor growth by 70 to 83 percent. Robert Weiss, a co-author and professor of nephrology at UC Davis, added that the combination drug achieved the results with minimal side effects and no cardiovascular or gastrointestinal effects. 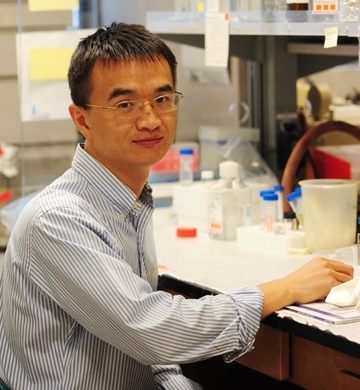 The research was initiated by first author Guodong Zhang when he was a postdoctoral fellow in the Hammock laboratory. 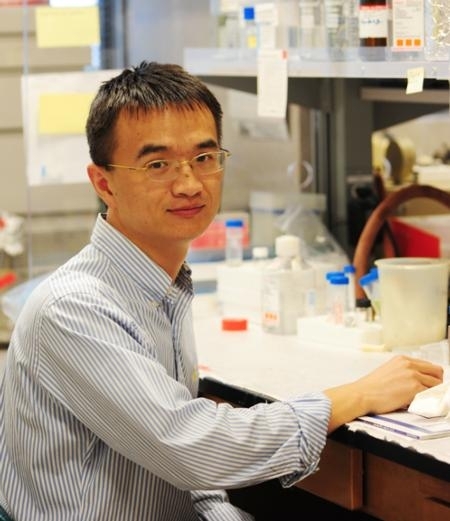 Zhang previously demonstrated that sEH inhibitors improve the power of omega-3 fatty acid (fish oil) diets to reduce tumor growth and metastasis, and implicated epoxides of the dietary supplement DHA as the causative agent. By advancing a new anti-angiogenic compound, the study extends the work of renowned Harvard Medical School physician and researcher Judah Folkman, who illuminated the importance of angiogenesis to tumor growth, inspiring a new class of anti-cancer drugs. Two of the study's authors, Dipak Panigrahy and Mark Kieran, previously worked with Folkman at Harvard Medical School. Though the research was focused exclusively on cancer, researchers said the dual compound could benefit other conditions, such as macular degeneration. The research teams are continuing their work on several fronts. “One member of our research team already has made more potent inhibitors with more drug-like properties,” Hammock said. “We are looking at the molecules for a variety of indications alone and in combination, including for kidney disease, fibrotic diseases, pancreatic and colon cancer and other problems.” The molecules are patented by the University of California and are available for license and testing. Co-author Jun-Yan Liu, who performed the analytical chemistry for the study while a postgraduate researcher at UC Davis, is now examining the efficacy of the compounds in kidney disease and gout at a laboratory in the Shanghai Tenth Peoples Hospital. “One of the most exciting things about this project was the ability to work with experts in multiple fields to find new drug class and new mechanism that promises to actually help people with cancer,” Liu said. Other researchers included Sung Hee Hwang, Jun Yang, Lisa M. Mahakian, Yanru Wang, Elizabeth S. Ingham, Sarah Tam, Robert H. Weiss and Katherine W. Ferrara, all of UC Davis, and Hiromi I. Wettersten, formerly of UC Davis and now at UC San Diego.